A hammock is one of the best items for relaxation ever, it instantly brings a holiday feel to any space. If you already have one for yourself, it’s time to spoil your pets, too! Today’s roundup is dedicated to hammocks but for kitties – cats love such a type of furniture, too, and they will enjoy relaxing in a personal hammock. You may attach one to the wall or some existing furniture and there are a lot of tutorials to try, sewing, non-sewing, crocheted hammocks and so on, let’s get started. 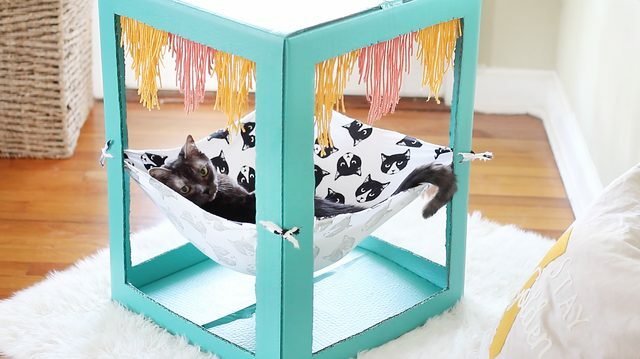 Create a cozy nook for kitty with a colorful hammock they can curl up in for cat naps. It gives them a little perch, a little canopy and a little open air scenery all in one — what more could kitty want? Read the tutorial and consider the size and colors that will fit your space perfectly. Don’t be afraid to rock bold colors to make a statement. 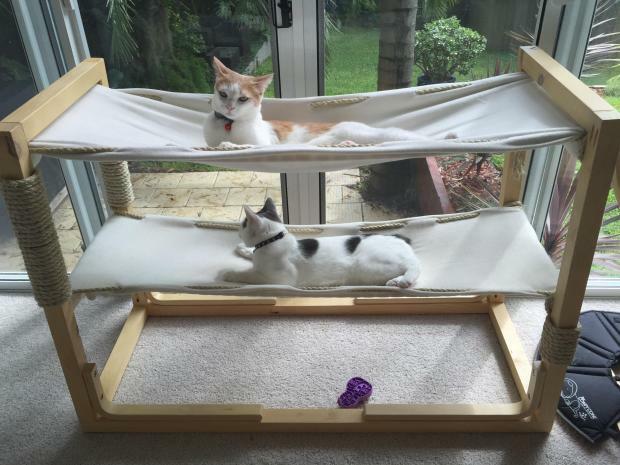 This is not just a hammock, it’s a whole bunk bed with hammocks, ideal for two cats! (Or you may just make it larger for three kitties). 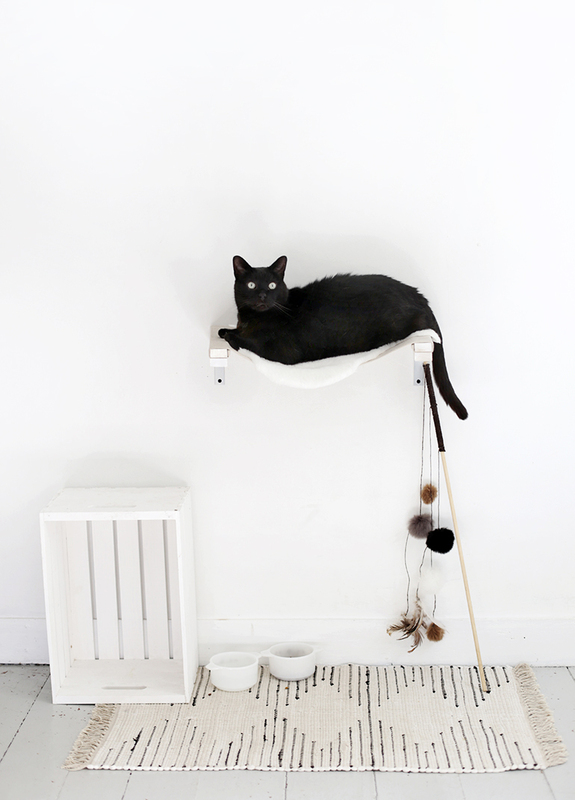 With clean lines and an unobtrusive color scheme, these two-tiered cat hammock looks like it belongs there. IKEA Frosta stool legs were used for carfting this bunk hammock bed, now head over to the tutorial to read the rest of the project. This piece is made of an old table and some fabric for the hammock, there’s also soft fabric on the bottom to use it as a bed, too. The cat hammock can accommodate two or three cats at once, and if you choose a tall table, you may add more hammocks to accommodate even more kitties. Choose colorful fabric for the hammock and the bottom and make a statement with it. 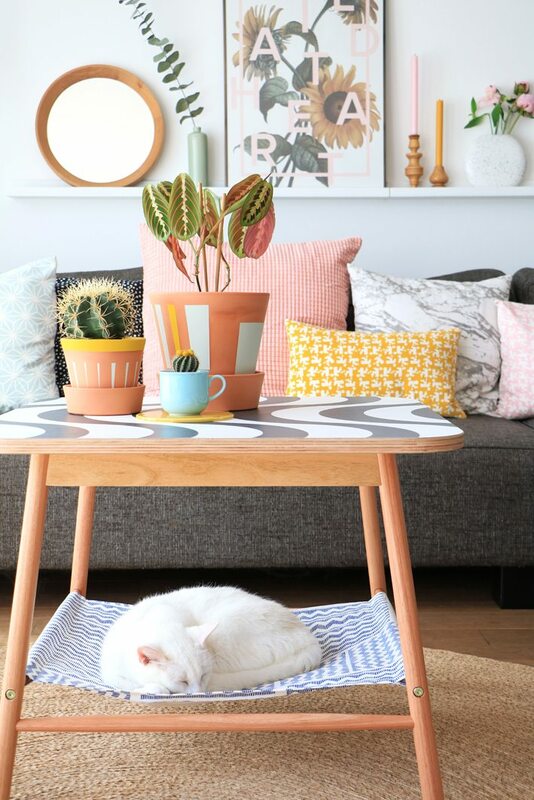 This DIY is for all you pet parents out there who want to give your cat a cozy place to lounge that matches your home’s modern aesthetic. This hammock bed has a reversible cover, so depending upon the season, you can give your cat either a warm, fuzzy surface to cuddle in, or cool cotton to chill out on. Better yet, the reversible cover can easily be removed and thrown in the wash. Your cats gonna love this idea! 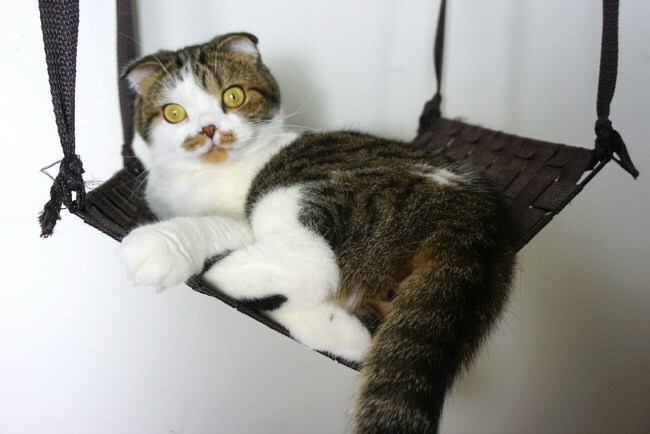 Make this small and not tall free-standing kitty hammock for your furry friends to enjoy. 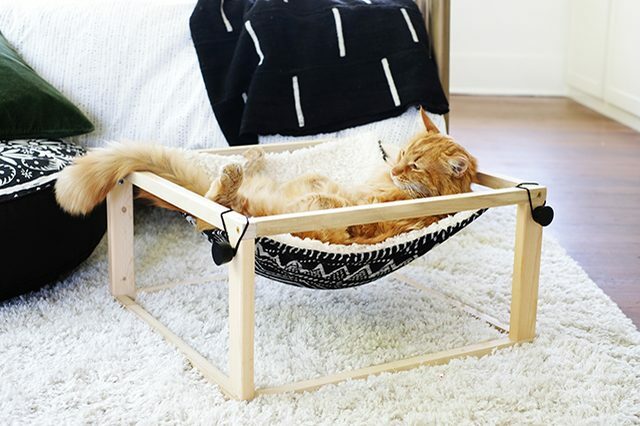 The piece is built of wooden planks and with a hammock attached to the them, this is a low hammock, which is great for cats who don’t like tall furniture. 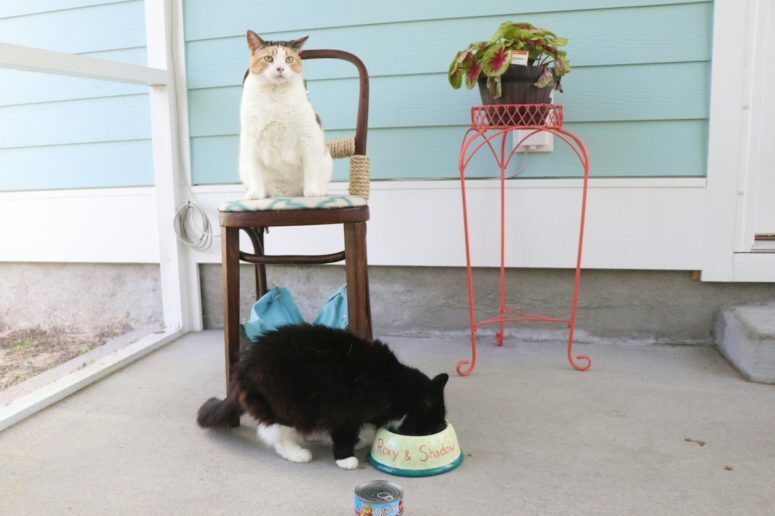 Cats are picky animals and may not want to lie in the hammock, keep it in mind and use some catnap to attract your pet to the newly built piece. Get inspired! 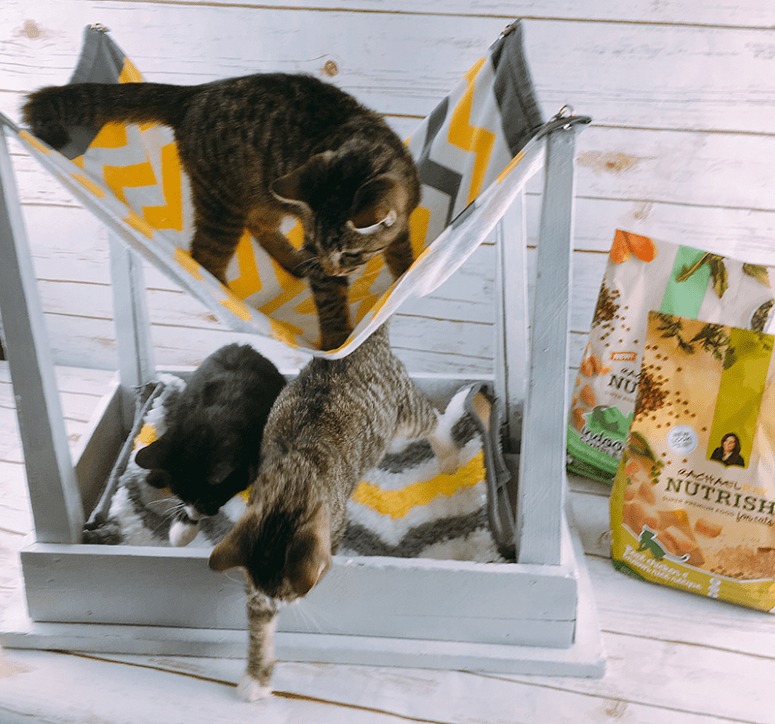 Share the experience of lounging in the hammock with your cat by making one of these simple, inexpensive cat hammocks. 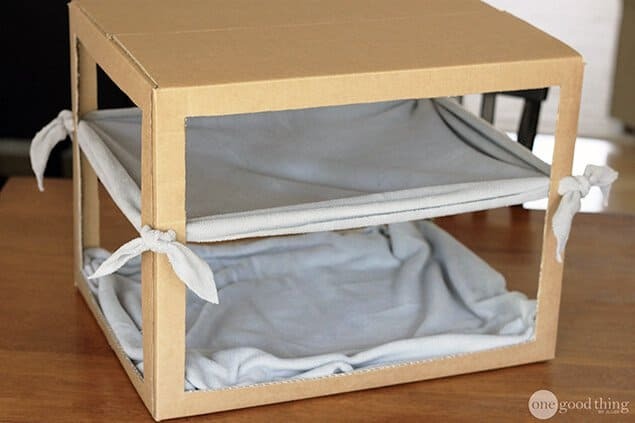 If you want, you can also cut a smaller piece of fleece to cover the bottom of the box, in case your kitty would rather hang out there. Enjoy! A hanging hammock is great: it’s a mobile thing that can be hung on the wall on some hooks or attached to the furniture you already own. This hanging hammock can be attached to different furniture, here it’s a coffee table. The piece is made of an old carpet, choose one or substitute it with some fabric. To attract the interest of your cat, you might want to throw some toys or treats into the hammock, but make sure not to force him into it. This hammock project includes a chair renovation project so that you could do two things at a time. Refresh the chair and then add a hammock of the same fabric as the upholstery to make the look more stylish. Enjoy! Who said that sewing is the only way to make a hammock? A kitty is usually not too heavy and you may crochet a hammock of some colorful yarn. The piece can be also used as a wall art, not just a hammock, and it will bring a cool boho vibe to any space. 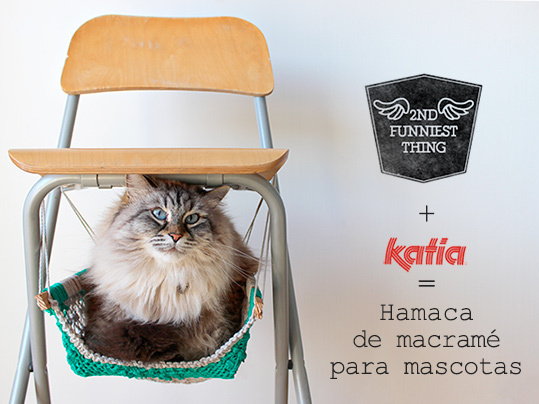 This creative table is a hack of IKEA TILFALLE piece, and a cat hammock is added to it easily and fast. 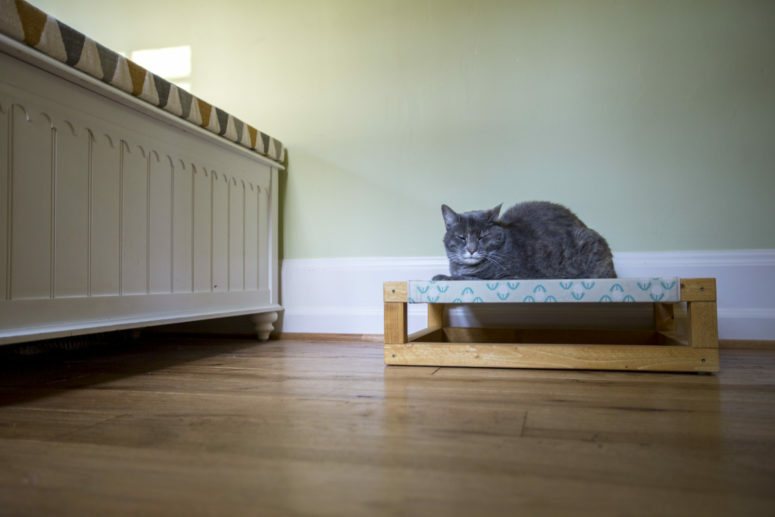 All you need to do is to sew a kitty hammock and attach it to the legs of the table – there are horizontal lines that may be used for hanging it. 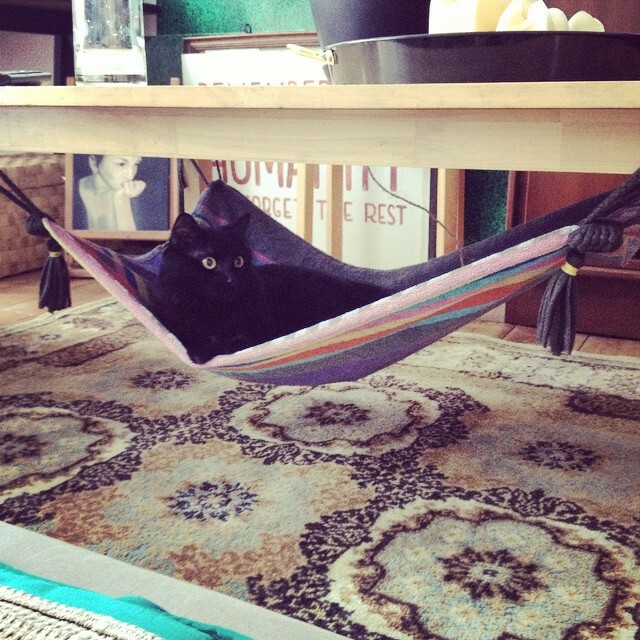 Spoil your kitty with such a cool and comfy hammock! This hammock is super easy and looks very nice thanks to the simple weaving used for the hammock. Even if you don’t know how to weave, this tutorial is super simple and you’ll handle it using some pics from the project. 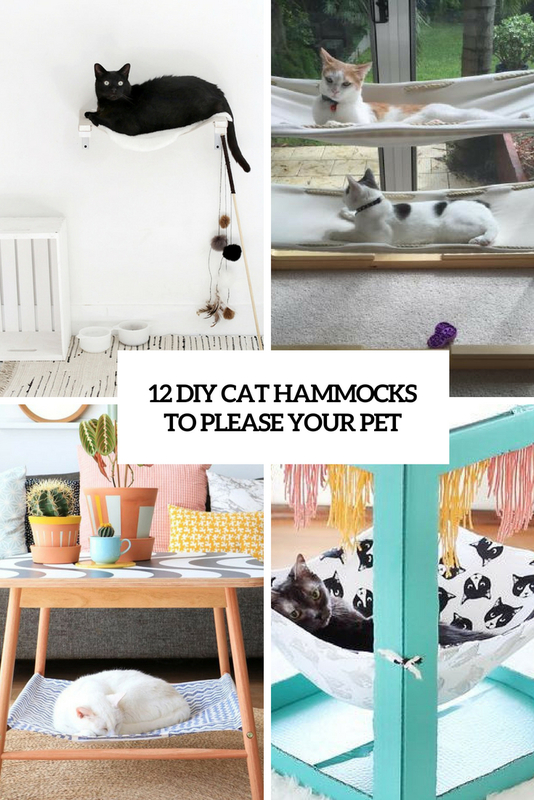 Weave a hammock and make your pet happy! If you have a Scandinavian or minimalist space, this cool wall-mounted hammock is ideal. It won’t take any floor space as it’s wall mounted and is made of wood and canvas. The design is very simple but make sure it’s stable on the wall – keep the weight of your kitty in mind. Get inspired to make it and enjoy!